The first item was not intentional, but after seeing that my hair was a static goldmine, I decided it was time to buy a conditioner. I literally typed hair mask in the search bar and the Artnaturals Argan Oil Hair Mask was the first to pop-up (w/ great reviews of course). I have already tried more than three times it and I am really pleased with all the results (full review coming soon of course!). 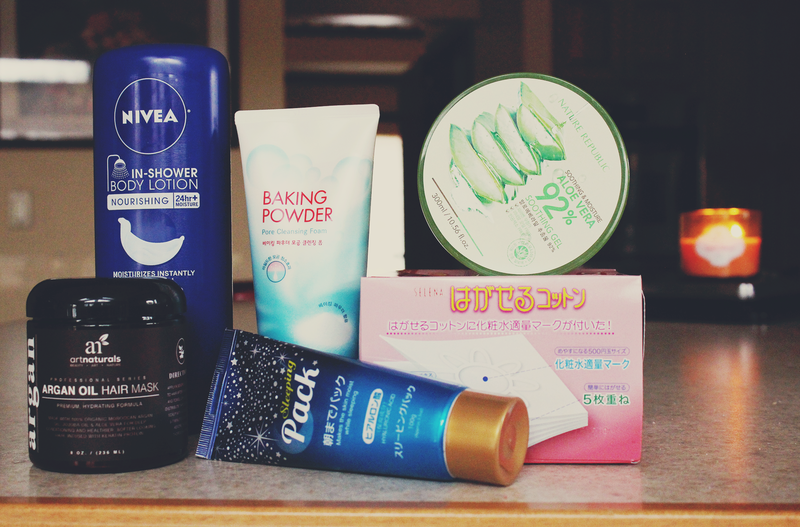 I am trying to branch from Korean products to Japanese products, so I decided to purchase the Daiso Sleeping Pack in the Hyaluronic Acid Version. My Lioele Water Sleeping Pack is not working as well as it did before because of the colder, drier weather that I have been experiencing. So, this will be a great addition into my skincare remix. I don't think I will ever get over Etude House, how cute all their products, and how well they work. I grabbed the Etude House Baking Powder Pore Cleansing Foam which declares that it cleans and exfoliates skin which I really need because I have been scarring from acne for the past few weeks. So I am hoping this works! 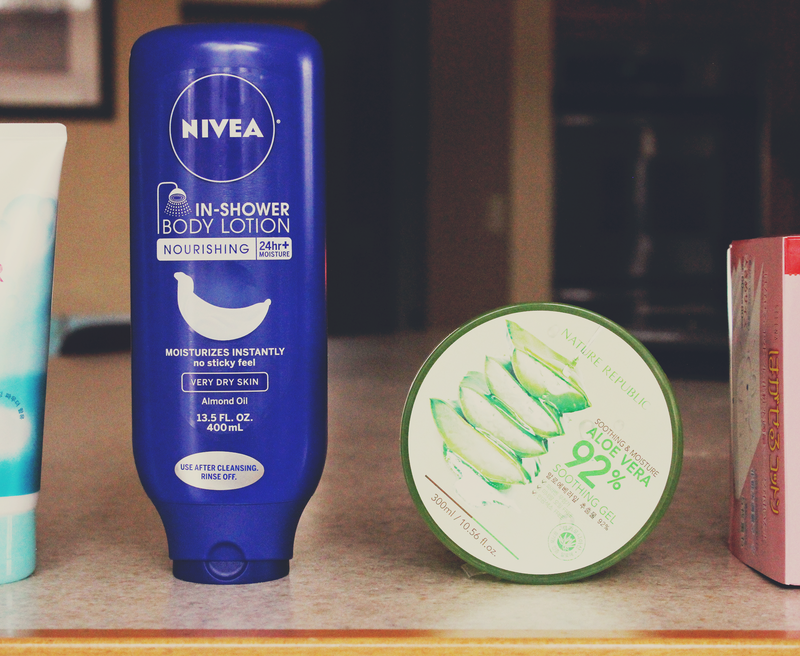 It has been too cold to moisturize when I come out of the shower, so I thought I would try the Nivea In-Shower Body Lotion for Dry Skin. I am a bit iffy about this product because I feel I use A LOT more than needed, which makes me fear that I will finish this bottle in less than two weeks. Which is money NOT well spent. Nature Republic is known for their Soothing Moisture Aloe Vera Gel, not only skin, but also for the hair. I am really excited to use this, but I think I will break this out in Spring when my dry skin can handle a little less moisture. 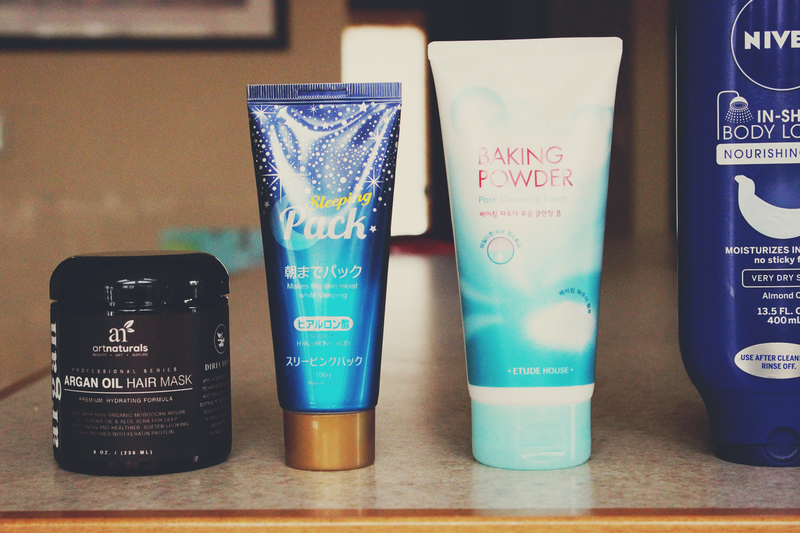 I have mentioned in a previous post that I have been using the Hadalabo Skin Lotion. 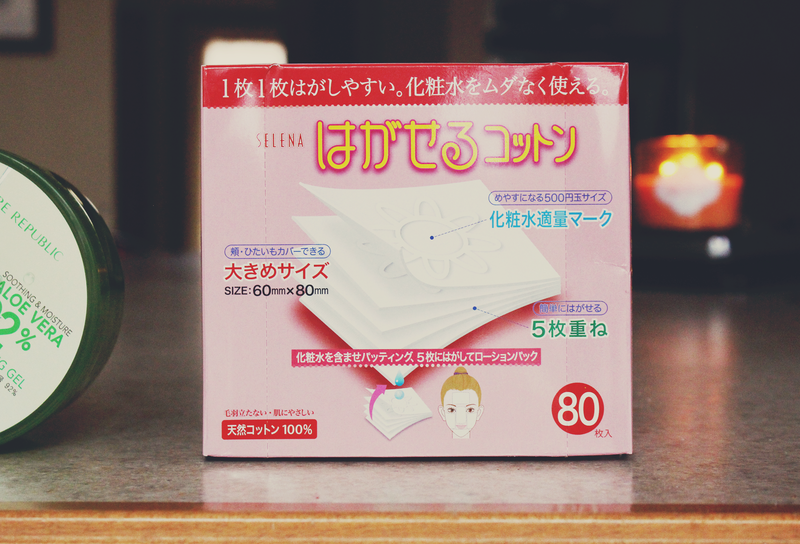 It was great the past couple of months I have been using it, but now my skin is too used to it ;_; So, I have to switch things up, but I read online it works better if you turn it into a mask with cotton pads. I picked up the infamous Selena Multi-Layer Cotton Puff which I have known about for a very long time. I hoped you enjoyed this post! 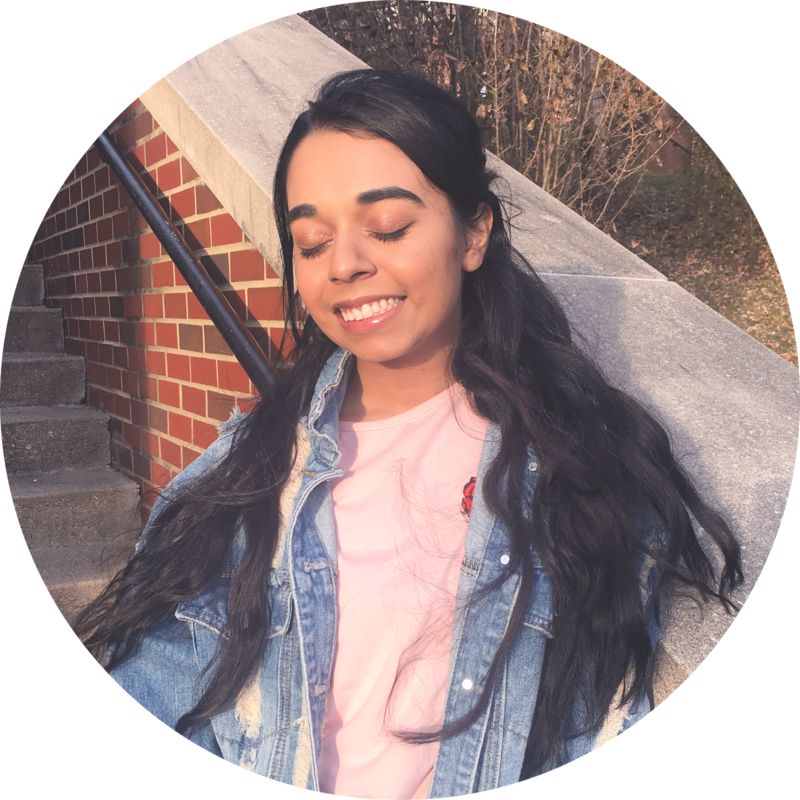 Before I bounce, I wanted to mention that I was included on the Top 50 Beauty Blogs on Rebateszone by Jose Gonzalez (link here)! I am listed at number twenty-one and I just wanted to thank all my readers and Jose for including me ^_^ Happy Tuesday!